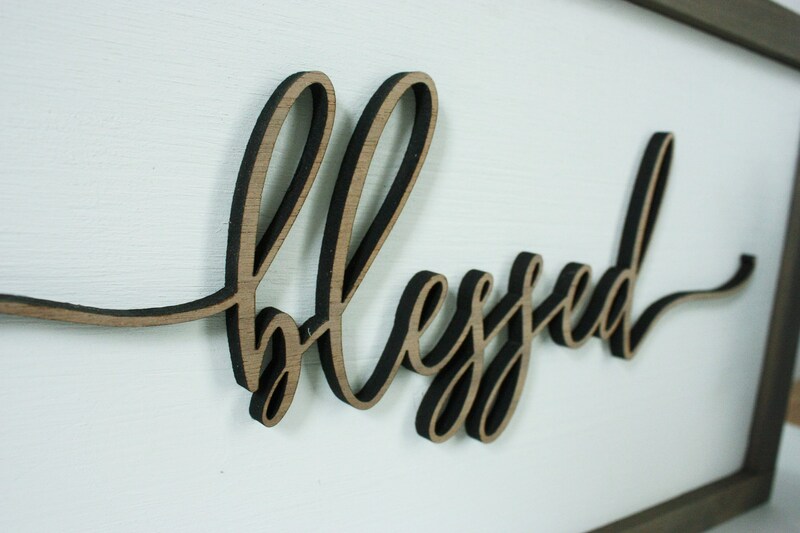 This sign features a painted white background with "blessed" laser cut out of wood in the font shown and glued to the background. We finish it with a farmhouse frame in the color of your choice. Makes a wonderful gift! 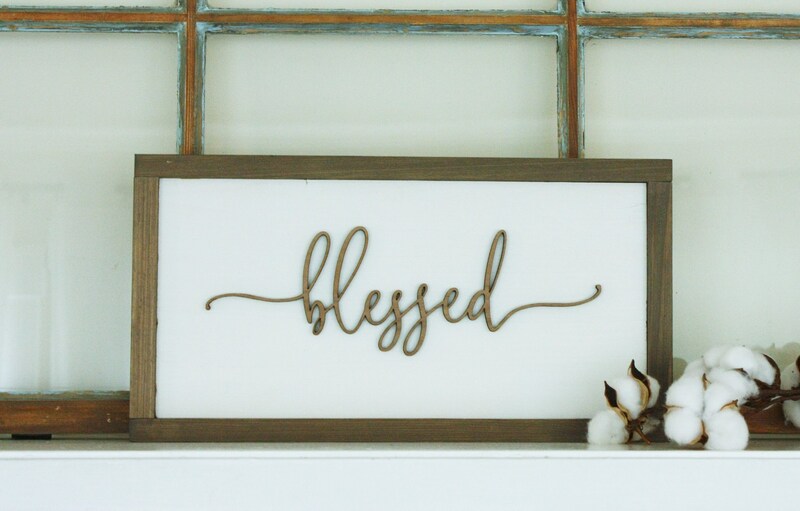 Sign measures 8.75"H x 16.5"W and is ready to hang using the attached sawtooth hook, or easily sits on a shelf. 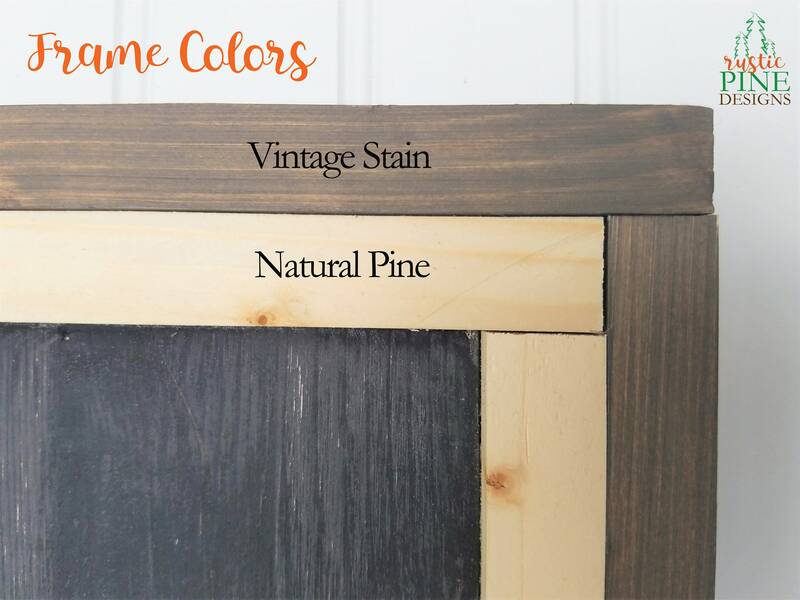 Colors shown are walnut lettering and vintage stain for the frame. Need a different word? Just contact us!